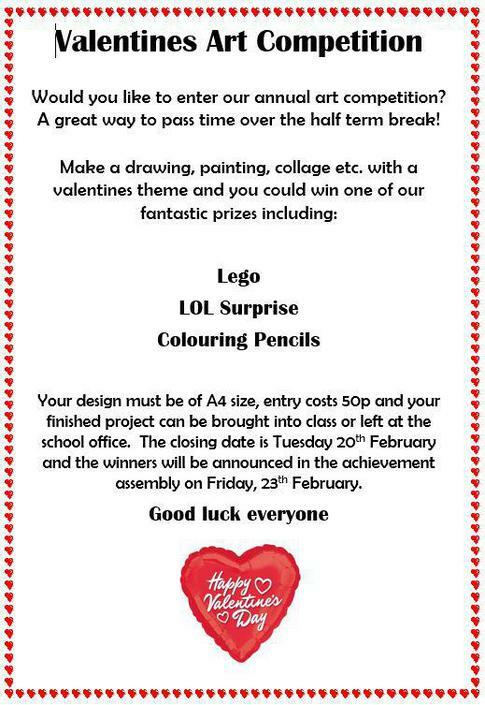 The children are so excited about our half-term Valentines Art Competition. The competition includes prizes which are donated by the Friends & Parents Group - thank you to them. The children can't wait to get creative!